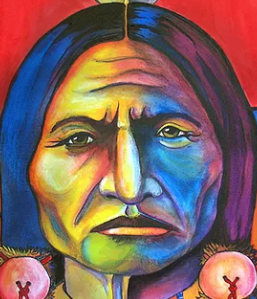 The 2019 Gainesville Native American Festival is new and it’s destined to be a great time for folks of all ages. 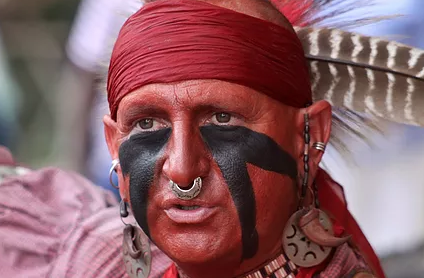 The event will be held at the Alachua County Fairgrounds and will feature traditional music and dances, handmade arts and crafts, native foods and a living history village. Hours are 9-3 Friday, 10-6 Saturday and 10-5 on Sunday. 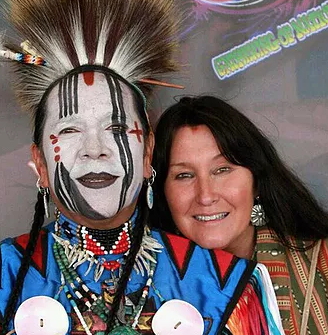 The Gainesville Native American Festival is proud to bring Shelley Morningsong and Fabian Fontenelle to our 2019 inaugural event. Together Shelley and Fabian mix traditional dance and song with a modern flare and style to produce a truly unique experience that is not to be missed. 2016 Native American Music Awards “Artist of the Year”! Shelley Morningsong (N. Cheyenne/Dutch) has emerged as one of Indian countries most recognizable voices. Morningsong has received four Native American music awards, among other awards and accolades, including Native American Music Awards “Record of the Year” . With an alto voice that pulls from the depths of her cowboy boots, and songs with lyrics that cut to the heart, Morningsong will appeal to those who enjoy the music of Buffy Sainte-Marie and Bonnie Raitt. Shelley’s husband and musical partner Fabian Fontenelle (Zuni/Omaha) adds a breathtaking and beautiful element to their performance with his traditional northern plains style dancing, storytelling and drumming. Fabian is an original member of the American Indian Dance Theater. This years feature demonstrator is Jim Sawgrass. Sawgrass is a native Floridian and a member of the Muskogee Creek Indian Tribe. He served on the Florida Indian Council from 1991-1995. Sawgrass has been sharing his knowledge of the Southeastern Native American tribes for over 30 years. Jim Sawgrass started the “Deep Forest Historical Native American Programs”. Since then, he has performed at places like schools, Pow Wows, state and national parks, Walt Disney World, Universal Studios, Sea World, New Orleans Jazz & Heritage Festivals and many other places around the U.S. He also been featured on many television networks such as History Channel, Travel Channel and Discovery Channel.